Review: All the Aires France 2019. Still a classic? Could your motorhome be making money for you? Disclosure: I received free copies of these books for this review. I did not receive any payment and was not required to write a positive review. Links marked with (eBay⇒) or (Amazon⇒) are affiliate links. This means I get paid a small commission if you buy something after clicking on the links. This money helps to pay for the running of the website. In our latest trip abroad, we covered more than 3,000 miles around the US states of Oregon and Washington. We also ventured north of the Canadian border into British Columbia, for a few days on Vancouver Island and in the city of Vancouver itself. As you might imagine, we needed to be well prepared and were fully ‘guide-booked up’. 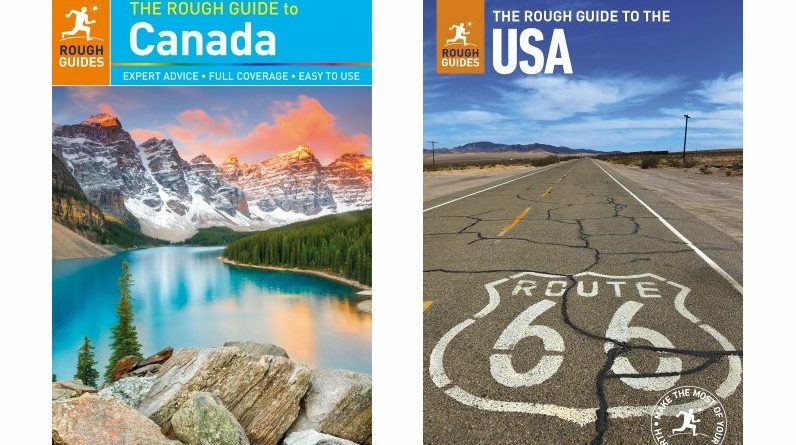 Both when planning the trip and while on the road, we made heavy use of The Rough Guide to Canada and The Rough Guide to the USA, both of which we received courtesy of the good folks at Rough Guide in the UK. It’s tempting to think that any guide book is good if you’re given it free of charge, but to be honest this isn’t true. As quite experienced travellers, we’ve used good guide books and bad ones, and I can definitely say that it’s worth paying for the best. We would happily have paid for both of these guides. As Rough Guides doesn’t do regional guides for the areas we were visiting, both of these were country guides, as their names suggest. Despite this, they included almost all the information we needed for the areas we visited, given the amount of time (c.3 weeks) we had at our disposal on this trip. Highlights such as Crater Lake National Park were present and correct, as were more sparsely-visited attractions like the John Day Fossil Beds National Monument (you must visit the Painted Hills Unit – below). 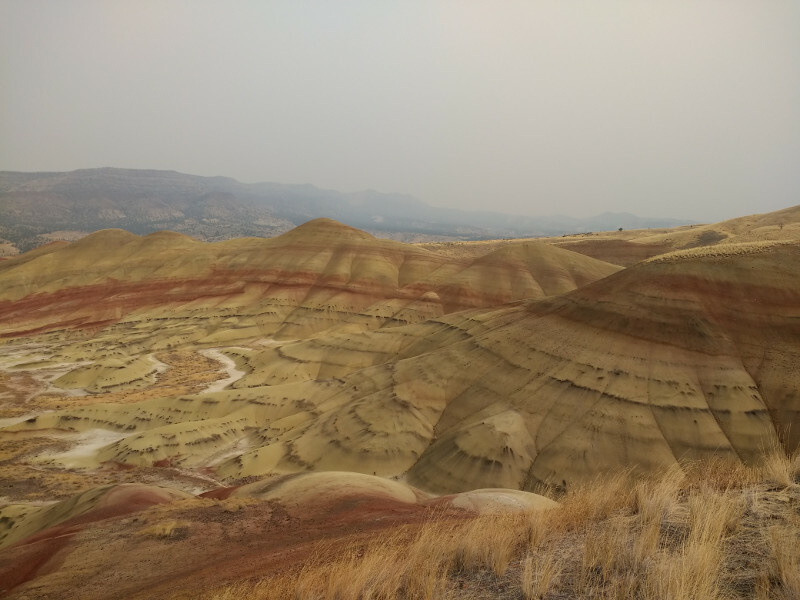 The John Day Fossil Beds Painted Hills Unit, Oregon, USA. One thing I particularly like is the way the information is organised in each of the chapters. Attractions come first (the most useful bit for us), followed by accommodation, eating, then drinking and nightlife. This approach means that it’s easy to skip over info that isn’t relevant without running the risk of missing anything useful. Although these guides are predominantly text, they do include a decent selection of maps and photos, both of which are in full colour. Plus there’s a huge amount of general information about each country at the start of the guide. Obviously both books are available in paper and ebook format. Copyright © 2019 MotorhomePlanet.co.uk. All rights reserved.